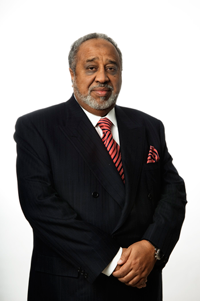 Mohammed Hussein Al Amoudi is a globally successful international entrepreneur, businessman and philanthropist. He has shown a particular commitment to Saudi Arabia, to Ethiopia (where he was born) and to Sweden. His businesses include MIDROC Ethiopia, MIDROC Europe and Preem Petroleum amongst others. His philanthropy has been focused strongly on education, training and healthcare in Ethiopia. This website is an introduction to him – his history, investments, support for modern management and approach to philanthropy. In an extensive and exclusive interview with Forbes, Mr Al Amoudi revealed his philanthropy strategy where he is setting the standard in the Middle East and Africa.